Gyro has partnered with LinkedIn to host a series of B2B marketing events. Dentsu Aegis Network (DAN) has launched its full-service business-to-business (B2B) agency Gyro in Australia this week. The launch follows the announcement of its merger with Interprise Australia and Band Interprise in February. The agency specialises in B2B marketing, integrating creative, media, data, channel marketing, sales and technology solutions for B2B marketers. The agency, which was acquired by DAN in July, also runs evens in partnership with LinkedIn. “Gyro is at the forefront of reinventing the way we see, consume and feel advertising in the dynamic B2B space. 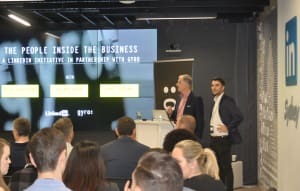 This event series is designed to address a gap in the Australian market, in that it is tailored specifically to B2B marketers with insights that will impact their day-to-day,” Gyro Australian head Dom Weatherhead said. 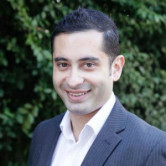 “The launch of gyro is a significant development for our clients in Australia who will now benefit from gyro’s end-to-end B2B service offering and regional and global experience, as well as the full resources of Dentsu Aegis Network, providing best-in-class B2B marketing services and solutions to business leaders.